We have also been testing out a small canning system that enables us to package 16oz cans of our year-round beers. It’s small and only does one can at a time but it helps us get beer into your hands sooner and in better packaging than growlers or bottles. 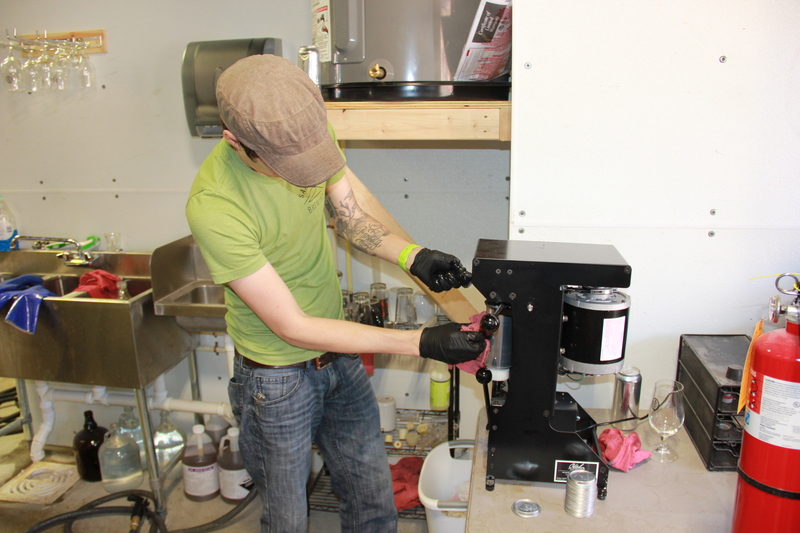 Testing the can seamer from Oktober Design for the first time. Which leads me to announce our first can release is scheduled for Saturday, April 28th! Over the next few weeks we will be actively brewing, fermenting, and packaging beers for this inaugural release. We anticipate having three beers available for purchase, which are Chickadee: Berliner Weiss, Sparrow: Dark Mild, and Barred Owl: Scottish Export. There may be a fourth beer, but that is still to be determined. These beers will be available to-go in 4-packs of 16oz cans. Free samples of each beer will be on tap. Growler fills will hopefully also be available, but will be dependent on turn-out and capacity. Given our small production scale, and the fact that we’re a bit off the beaten path, we’re also opening up online can reservations! You can reserve 4-packs of cans starting today by clicking here: reserve your cans online. We are allocating half of each beer to online reservations, retaining the other half for walk-in sales to ensure more people are able to get beer. 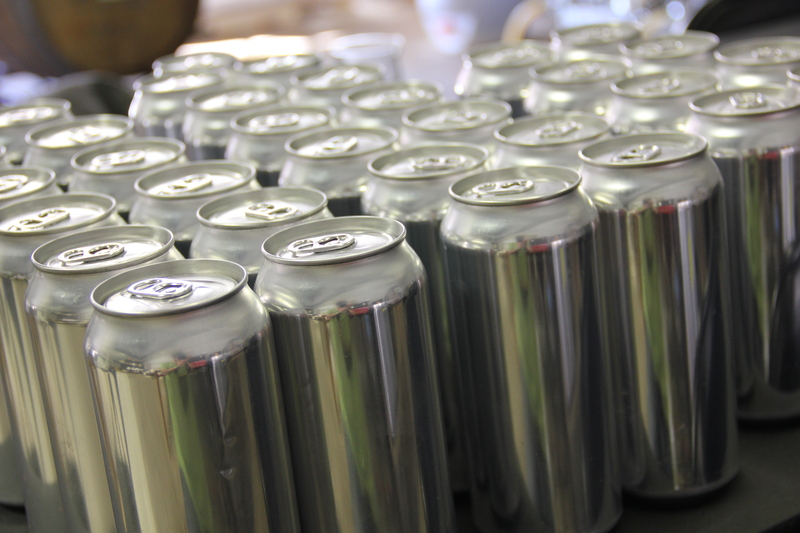 Estimates on total can count are just 200 per beer, or 5 4-packs each. Don’t miss it! Full details for the reservation and pickup process are on the can reservation page, linked above. 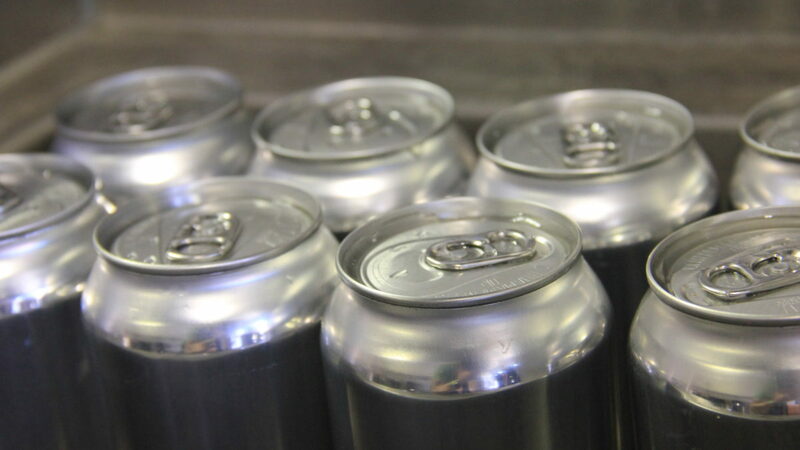 Seamed and cleaned cans that were used to test carbonation, shelf stability, and all the other things that keep brewers up at night. All allocated cans of Chickadee have been reserved! If able, we will release more stock before April 28th so that more of you are able to reserve your cans.